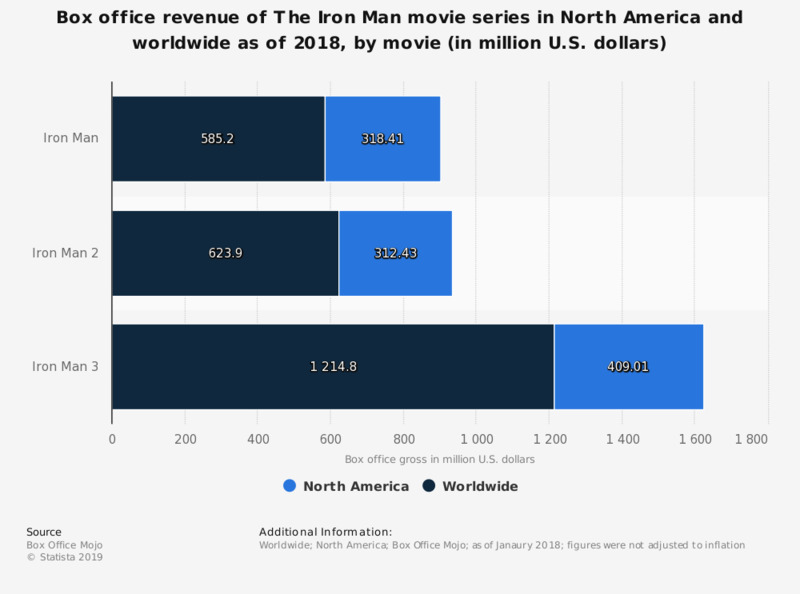 The statistic presents the box office revenue of The Iron Man movie series in North America and worldwide. As of January 2018, "Iron Man 2", the second installment in the trilogy from the Marvel Cinematic Universe, reached a gross of 312.43 million U.S. dollars in 4,390 cinemas across North America. Robert Downey Jr., the actor who portrays Iron Man, was ninth on the list of Hollywood's best-paid actors in 2017, with an annual income of 48 million U.S. dollars.